A month ago, before the nation's attention was drawn to the tragedies at the Upper Big Branch Mine in West Virginia and the oil rig off the Louisiana coast, the EPA issued a blockbuster announcement about a strict new guidance for the permitting of mountaintop removal mines in Appalachia. The announcement left many people - reporters, politicians and the general public alike - confused whether or not the EPA had just put an end to mountaintop removal. The announcement generated headlines ranging from a fairly modest "E.P.A. to Limit Water Pollution From Mining" in the New York Times to "New regulations will put an end to mountaintop mining?" in the Guardian. "Coal communities should not have to sacrifice their environment or their health or their economic future to mountaintop mining. They deserve the full protection of our clean water laws." On a recent trip through eastern Kentucky, set up by our good friends at Kentuckians For The Commonwealth, the answer to whether mountaintop removal in Appalachia has come to an end was abundantly obvious. The photo of a new active mountaintop removal mine looming above Route 23 in Pike County, Kentucky, at right, tells the story. To the extent that some in the media overstated the impact of the EPA's new guidance, they can be forgiven. During the press conference, Jackson herself said, "You're talking about no or very few valley fills that are going to meet standards like this." Valley fills are the typical disposal sites for the waste that is generated when coal companies blow the tops off mountains to access thin seams of coal. As community activist Judy Bonds of the organization Coal River Mountain Watch describes it, "A valley fill is an upside down mountain turned inside out." Most - but not all - mountaintop removal mines require valley fills. But Jackson was also very clear that this was not a blanket ban on mountaintop removal permitting and that the guidance would not apply to permits that had already been granted. The standards Jackson said would lead to "no or very few valley fills" establish limits on the permissible level of stream water conductivity. Conductivity is a measure of salt - and an indicator of metals including toxic and heavy metals - in water. Remember the experiment where you put salt in a glass of water to make it conduct electricity and light a bulb? A plethora of recent scientific research has shown that conductivity higher than about five times the normal level downstream from valley fills is associated with severe impairment of the ecological communities in Appalachian headwater streams. The photo to the right that I took below a valley fill in Magoffin County, Kentucky, illustrates the trouble these standards create for coal companies. According to a huge compilation of scientific studies that the EPA simultaneously released with their guidance, conductivity levels below Appalachian valley fills average around 10 times normal levels. 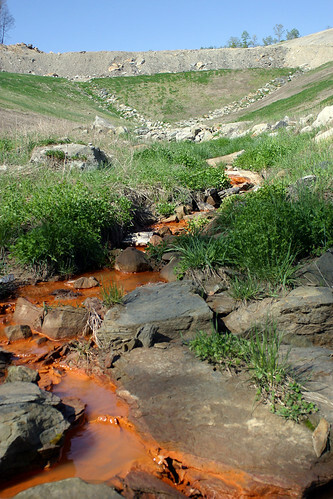 The bright orange water coming out of this valley fill indicates enormously high levels of iron, which in turn suggests both high conductivity levels and high levels of toxic and heavy metals regulated under the Clean Water Act. The EPA's action will not affect permits that have already been issued. Moreover, an excellent piece of reporting by Charleston Gazette reporter Ken Ward revealed that those existing permits will allow some companies to continue mountaintop removal operations without a hitch for the next couple of years. Not all mountaintop removal mines require valley fills and coal companies are already using loopholes by which they can obliterate miles of streams without the need to obtain a valley fill permit. The million or so acres of wholesale destruction that coal companies drove through a narrow loophole in the Surface Mine Control and Reclamation Act since 1977 is testament to their skill and creativity at exploiting loopholes. Some valley fills will still be allowed under this guidance and the EPA even provided a set of "best practices" by which companies can do mountaintop removal in a manner consistent with it. Moreover, there are a number of recent cases where coal companies went ahead and constructed valley fills without even bothering to obtain a permit. While the guidance takes effect immediately, it is a preliminary document released in response to calls from coal state legislators and coal companies for greater clarity on how the EPA was basing its decision whether to grant a valley fill permit for an Appalachian surface mine. The EPA plans to initiate an extended public comment period before the guidelines will be finalized. An agency guidance document is different from a formal rule and can be easily overturned by a new administration. Even if this guidance proves to be effective in curtailing mountaintop removal, environmental and community advocates still need to ask what happens when a hypothetical President Palin enters the White House in January of 2013 or 2017. There are any number of laws and regulations that affect surface mining, and so there is no single mechanism to ensure mountaintop removal is stopped permanently. But the first and most important step is for Congress to pass a strong law that prohibits the dumping of mine waste into streams. In 2002, Representative Frank Pallone of New Jersey introduced just such a bill called the Clean Water Protection Act (H.R. 1310). Pallone, together with Republican Cristopher Shays, introduced this bipartisan bill in response to the Bush Administration's catastrophic "fill rule," which made it easier to permit mountaintop removal mining and for coal companies anywhere to dump waste into streams. Since then, people and organizations across Appalachia have supported Pallone's bill by carrying a simple message to universities, church groups and Rotary Clubs across America: they're blowing up our mountains and there oughtta be a law! Over the past eight years, the nationwide organizing efforts led by groups in Appalachia have generated a remarkable 170 co-sponsors of the Clean Water Protection Act - more than almost any other bill before Congress. Unfortunately, the bill continues to be held up in the House Transportation and Infrastructure Committee, with West Virginia Congressman Nick Rahall recently claiming credit in a West Virginia newspaper for bottling it up. If Rahall's contention is true, it's a powerful testament to the level of influence he has accumulated, given that the bill has more cosponsors than any other of the 323 bills currently before the Transportation and Infrastructure Committee. More importantly, Rahall does not actually have the power to prevent the bill from being heard except through his influence over Chairman James Oberstar of Minnesota, who is the only one with the actual power to decide whether the bill is brought up in his committee. It's particularly unfortunate that House Democratic leaders and committee chairs like Oberstar would give Rahall so much power over national policy, given how poorly his own constituents have fared under his leadership. After 33 years in office, Rahall's district ranked 434th out of all 435 Congressional districts in Gallup's recently-released 2009 well-being index rankings (see map below). The only district that ranked lower was Hal Roger's neighboring district in eastern Kentucky. Notably, Rogers' is the only district that has suffered more destruction from mountaintop removal mining than Rahall's. A big question in the wake of the tragedy at Massey Energy's Upper Big Branch mine is whether the obescience of coal state legislators toward the coal industry will change after the disaster. Traditionally, the pandering of Congressman Rahall and Senator Rockefeller toward Big Coal has been almost embarrassing to watch - kind of like witnessing an overly-exuberant public display of affection on a park bench. But when it comes to the safety of the guys in the hardhats, these gentlemen strike a very different tune. 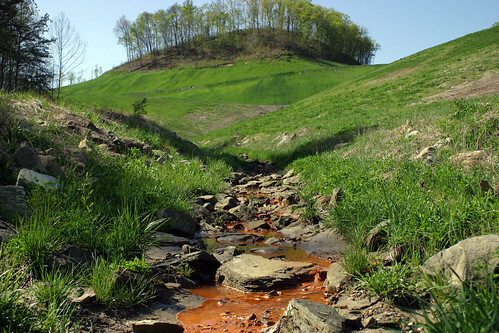 Given that the same company, Massey Energy, is by far the largest operator of mountaintop removal mines, was assessed the largest penalty in the history of the Clean Water Act, and has a record of environmental violations to which their horrible safety record pales in comparison, these legislators have a unique opportunity to lead their constituents in a new direction. And Senator Byrd of West Virginia has paved the way. One of the most under-reported elements of the EPA's announcement was that Administrator Jackson specifically mentioned the EPA had worked with Senator Byrd to develop their new guidelines. She would not have said that without explicit approval from Senator Byrd. 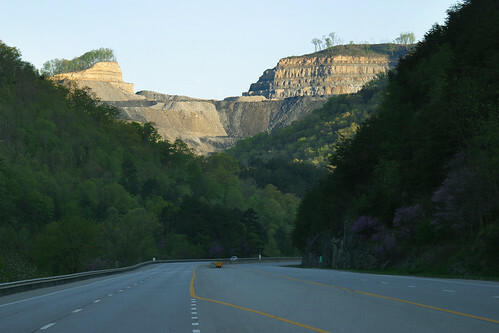 While Byrd has not explicitly called for an end to mountaintop removal or co-sponsored legislation to do that, his leadership in promoting a more thoughtful and reasonable view on climate and the future of coal in his state represents a sea change from the public statements of statewide elected officials over the past few decades. Rahall and Rockefeller would serve their constituents and their country far better if they followed Byrd's lead. Is Passing a Law in this Polarized Congress Realistic? "The new EPA guidelines are useful in stopping some inappropriate coal mining in Appalachia but Congress still needs to pass the Cardin-Alexander legislation that would effectively end mountaintop removal mining." Alexander, together with Senator Ben Cardin of Maryland, introduced the Appalachia Restoration Act (S. 696) last year, a Senate companion to the Clean Water Protection Act designed to eliminate mountaintop removal (or at least permanently curtail it - we'll see what the final language says after mark-up). That bill got a boost the same week of the EPA announcement when coal-state Senator Sherrod Brown of Ohio announced he would become the 11th co-sponsor of the bill. Whether the Senate bill can survive the committee mark-up process in a form that Appalachian citizens groups can support remains to be seen, however. The Nashville Tennessean recently published an editorial that gave voice to the concerns many coalfield citizens have about forms of mining that may not be covered by the Senate bill, particularly cross-ridge mining. Cross-ridge is a type of mountaintop removal mining that requires little or no valley fill and is based on the assumption that a mountain can be put back more or less how it was after it's been blown up - kind of like putting Humpty Dumpty back together again. The photo to the right illustrates one of many problems with the theory that mountains can be put back together without causing major ecological degradation. While the type of mining shown in the photo would not be classified by state agencies as mountaintop removal (only part of the ridgeline has been removed and there is no valley fill at the headwaters of this stream), the impact of this mining on water quality is indistinguishable from the impact shown in the previous photo below a valley fill. Some insiders have also expressed concern that the EPA's strict new guidance will take the wind out the sails of the campaign to pass a law, but from the perspective of Appalachian groups that have been working to ban mountaintop removal for decades, that concern is misplaced. The citizens of Appalachia have led this fight from the beginning, and have a much more vested interest in making these protections permanent than any group in Washington, D.C. It may be that some big environmental groups that have only recently made mountaintop removal a priority will move on to other priorities once the Administrative decisions are played out - and make no mistake that the contributions of those groups over the past few years in pressuring the Obama Administration to take action were exceedingly welcome and timely. But it was not the Big Greens that made mountaintop removal a national issue or whose organizing in communities across America has generated such broad bipartisan support of the Clean Water Protection Act and Appalachia Restoration Act. The people of Appalachia aren't sitting around waiting for beltway insiders to tell them whether or how to pass a law, they're just doing it. The legislative effort is led by the Alliance for Appalachia, an alliance of thirteen local and regional organizations that formed several years ago with the mission of ending mountaintop removal and bringing a prosperous new economy to the Appalachian coalfields that is based on sustainable industries. The Alliance for Appalachia represents by far the greatest number of people impacted by mountaintop removal mining, and the alliance is composed of some organizations that have been fighting Appalachian strip mining for decades. The battle to end mountaintop removal will not be over until the Alliance for Appalachia says it is, and I'm confident that won't happen until, at a minimum, President Obama signs a law banning the practice. There is a window of opportunity right now to pass a strong law that will rein in mountaintop removal permanently. Also, with coal demand down dramatically due to the recession, now is the time to begin replacing mountaintop removal coal with aggressive energy efficiency and renewable energy policies in states like North Carolina, Georgia and Virginia that are most dependent on this source of coal. From a local perspective, more delays, half-measures and uncertainty about the future of mountaintop removal will only lead to a myopic approach to rebuilding the Appalachian economy and bringing new jobs and new industries to the region. And from a global perspective, at a time when America is finally getting serious about addressing climate change and moving toward a 21st century energy future built around renewable energy, isn't it absurd that we're still fighting to stop the wholesale destruction of the most biologically diverse forests and streams on the continent in order to mine climate-destroying coal? Can we really address climate change if we can't even stop mountaintop removal? For people around the country that want to see mountaintop removal end - and that should be anyone concerned about climate change, human rights, clean water or endangered species - a great place to start is by telling your Senators and Representatives that the time to pass legislation to end mountaintop removal is now. There are plenty of tools on the web to make it easy. Let's keep up the momentum, pass a strong law, and relegate mountaintop removal to its rightful place as just another tragic episode in American history books.